You’d probably be hard-pressed to find a person who thinks it’s acceptable for a Christian to be selfish. Selfishness is the antithesis to Christianity, implicitly at odds with it. Even non-Christians recognize this and are often quick to point out when the life of a Christian contradicts this principle. This idea is, of course, underscored repeatedly in Scripture. “Do nothing from selfishness,” Paul wrote to the believers in Philippi (Philippians 2:3, NASB), adding in his first letter to the Corinthians that love “seeks not its own” (13:5, KJV). Christ Himself perhaps put this concept in the boldest of terms, proclaiming that “whoever desires to save his life will lose it, but whoever loses his life for My sake will find it” (Matthew 16:25, NKJV). Though we perhaps don’t take this verse as seriously as we probably could, we still recognize the poignant call to abandon all self-interest. Scripture is clear: simply put, in the heart of the Christian there is no room for selfishness. But such messages work at cross-purposes, since the whole foundation of their Christian experience rests upon a selfish motive to begin with. Think about it. The average “gospel” presentation goes something like this: you’re a sinner who deserves death, but if you want to be saved and live forever you need to believe in Jesus. Salvation is thus always presented as something to attain from God for the benefit of self—and faith is the currency by which you acquire that benefit from God. Just yesterday, I heard a well-meaning radio preacher who illustrated the whole concept in such terms. Comparing salvation to a woman who jumps out of a burning house and into the net that the fireman is holding below, he proclaimed that God has done all for our salvation but we must still take the “leap of faith” in order to be saved. Such a scenario appeals to a person’s most primal emotions: fear, panic, self-preservation. But such emotions are implicitly at odds with the motive and way of Christianity. In fact, one might go so far as to insist that presenting salvation within such a framework is anti-Christian altogether. “All pagan religions are self-centered in their appeal,” Robert Wieland has noted, “and since almost all Christian churches accept this pagan-papal doctrine, they get locked in to what is basically an egocentric mind-set” (Grace on Trial, p. 29). Not to be outdone, secular psychologist Alfie Kohn, writing within the context of childrearing, posits that such an approach is actually “by its very nature dehumanizing” (Punished by Rewards, p. 25). Furthermore, the great challenge with using rewards as a motivator is that “the more rewards are used, the more they seem to be needed” (Ibid., p. 17). And thus, within a Christian framework, we are simply setting people up to live in an endless cycle of requiring future benefits in order for their faith-journey to be sustained. With such a paradigm—and with faith as the currency I use to acquire benefits—my faith is only as strong as the benefit is in its appeal. And as soon as I can no longer detect an obvious benefit, my faith ceases to be active. Thus, Wieland notes, “when we distort faith itself to become egocentric, the gospel is paralyzed” (Powerful Good News, p. 33). This is all an echo of what Ellen White has poignantly proclaimed repeatedly throughout her writings: “Love to God is the very foundation of religion,” she wrote. “To engage in His service merely from hope of reward or fear of punishment would avail nothing” (Patriarchs and Prophets, p. 523). So, too, does it echo Jesus’s words quoted above. His followers, He shockingly declared, should not desire to save their lives. Personal salvation should not be the impelling force. On the contrary, Christ’s followers should desire to lose their lives—an idea that stands at incredible odds with the presentations we typically give. Instead of presenting the gospel as something that will yield a future benefit, let’s present it as something that has already benefited. “To the death of Christ we owe even this earthly life,” Ellen White explained (The Desire of Ages, p. 660, emphasis added). This transforms faith from being an instrument by which we attain rewards to an instrument by which we express gratitude. And gratitude, unlike self-interest, is an unstoppable force that enables the Christian to reach infinite heights. Paul unpacked this when he explained to the Corinthians what the motive of his ministry was. “For the love of Christ compels us,” he proclaimed, “because we judge thus: that if One died for all, then all died” (2 Corinthians 5:14). He recognized that by His death on the cross, Christ had already accomplished something for him—that Christ’s death was his death, thus already absolving him of the debt he owed by virtue of his life of sin. And he found such a thought to be compelling—to the point that all who recognized this glorious reality would “live no longer for themselves [that is, motivated by self-interest], but for Him who died for them and rose again” (v. 15). Such distinctions are critical, especially for those living at this juncture in earth’s history. Those who stand in the last-days will be ridded of all selfishness. They will not stand tall for God as a calculated way of hedging their bets. Heaven will not be looked upon as the greatest retirement plan so long as they continue making regular faith-deposits. To consider it such sets a person up to be an easy victim of the enemy’s tactics. On the contrary, God’s people in the last-days will love “not their lives unto the death” (Revelation 12:11, KJV). Standing firmly on the sacrifice of Jesus—grateful that He “emptied” Himself (Philippians 2:7) and, for all intents and purposes, gave up eternity for them—they will live ever for Him, regardless of the temporal or eternal consequences. Indeed, those living in the last-days will experience this mind-boggling idea that Ellen White laid forth in Steps to Christ: “We should not make self the center,” she instructed, “and indulge anxiety and fear as to whether we shall be saved” (p. 71). 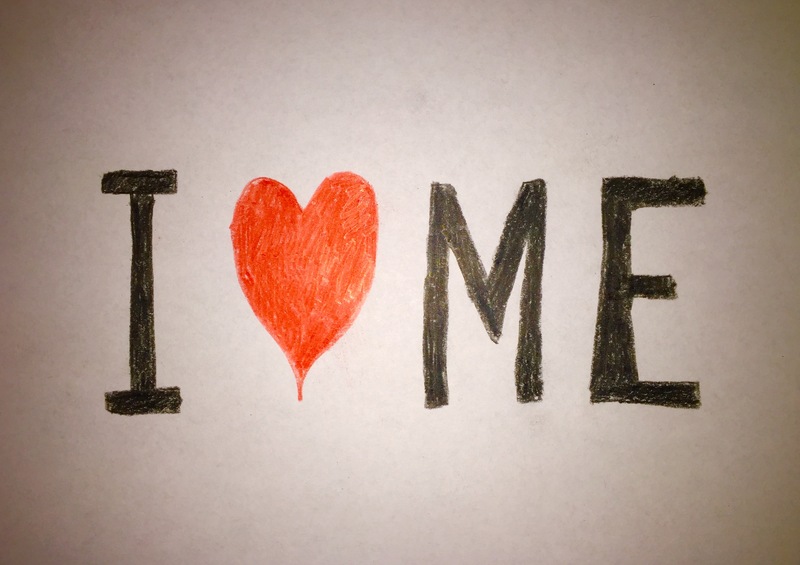 We thus need to move beyond a gospel that makes “self the center.” Instead of framing salvation in transactional terms that confirms listeners in their primal selfishness, let’s lift up the heart-melting message of Christ’s self-emptying sacrifice and the benefits we’ve already been granted by Him as a result, thereby setting us on the path of gratitude. [i] I realize it may not align with the Dictionary definition of “selfish,” but I would simply define selfishness, and the definition with which I am working in this piece, as the desire for personal benefit as the end goal. It is thus possible to want to be saved for unselfish reasons—e.g., to grant Christ the reward for His sacrifice as the end goal—but this is very rarely the framework within which salvation is presented. Here are a few observations on preaching that is either strong or weak in the gospel. This stems from a Twitter conversation I got into yesterday in which my friend David Asscherick commented how in our worship of God, we should ditch the fog lights, strobes, and American-idol aspirations, and just worship. My comment was: when we preach a weak gospel, we have to dim the lights and turn up the music. That resulted in some questions from a few people. And it led me to realize that I have, perhaps to some degree, a differing view on what constitutes preaching that is “strong in the gospel” (since the gospel has only one “strength” – ie., powerful [see Romans 1:16] – it is not entirely accurate to speak of a “weak” or “strong” gospel, but of preaching that is either weak or strong in the gospel). As I’ve listened to a lot of sermons over the years, I have encountered a lot of sermons – too many – that were weak on the gospel and left me empty. Fortunately, I’ve also enjoyed a lot of sermons – though far fewer than the former – that were strong on the gospel, and left my heart feeling “strangely warmed.” These are thus the elements of each type of sermon. They are just one man’s subjective opinion and you may find yourself in complete disagreement. That’s fine. But what we should all agree upon is that the gospel – Christ and Him crucified – must be front-and-center of every sermon (Ellen White says that Christ is the great “center of attraction”). It thus behooves all of us to grapple with how we might pursue a richer and more cross-centered presentation of truth. This is not to say that every sermon needs to be an explicit expose on all these themes. It’s simply to say that every sermon needs to be preached “within the context” of these important realities. Thus, a sermon on the Sabbath or tithing or evangelism can – and must – be presented within this context. As I said, those are just a few examples. I think, what would be most helpful, is to give you a tangible example of a sermon that is “strong” in the gospel, and one that is weak. For the former, I have chosen a sermon by my good friend, Ty Gibson. It’s called “Get Yourself a New Husband.” Ty does a great job of combining all the powerful features of a gospel-strong presentation. You can hear it here. For the sermon that is “weak” in the gospel, I have chosen a sermon that I have actually preached. It’s called “Silent Christians?” You can listen to it here. Christ: Legal Substitute or Typical Representative? This post will be me very much thinking out loud – grappling with some questions, looking for feedback. So please share your thoughts about what I am saying. I am not committed to them, but just exploring some ideas. Jesus Comes! He fills my soul! Perfected in Him I am. What, exactly, does he mean that “perfected in Him I am”? It seems that this is our typical thinking: when God is considering my eternal destiny and looks at me, a wretched sinner, He instead looks at Jesus and sees His perfection and righteousness and thus, in a legal and forensic sense, I am justified and let off the hook because Christ, as my Substitute, was Himself perfect and died on my behalf. I thus don’t have to worry about being perfect or righteous myself; Christ was perfect and righteous for me. Even a quote from Ellen White that I had included in my sermon yesterday, from that classic Steps to Christ, seems to bolster this model. “If you give yourself to Him,” she writes, “and accept Him as your Saviour, then, sinful as your life may have been, for His sake you are accounted righteous. Christ’s character stands in place of your character, and your are accepted before God just as if you had not sinned” (p. 62). But it all of a sudden dawned on me that perhaps there is another way of looking at it (which doesn’t contradict Ellen White’s statement, but is simply another understanding of it). 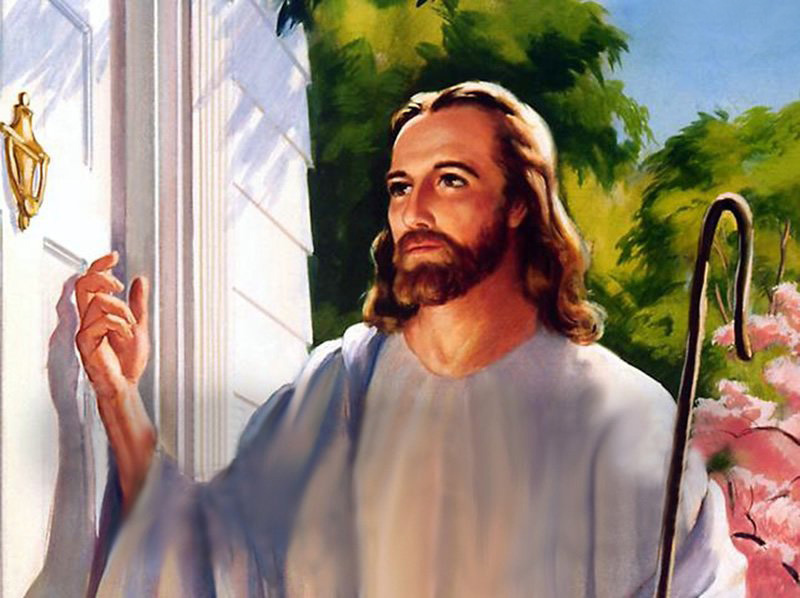 What if, instead of God looking at Christ and saying, “All right – Christ was righteous instead of him; I’ll let him off the hook for Jesus’s sake,” He actually does still look at Christ but instead says, “Oh, Jesus is a human being who lived a perfect life and thus represents the potential of what a faithful life looks like. I will not hold Shawn’s sins against him because I see that his life of faith will eventually look like Jesus’s life of faith”? Thus, Christ didn’t simply life a perfect life for us (or instead of us), but as us, prefiguring what all those who are living by faith will experience. His life was thus typical rather than just substitutionary. God looks at me through the eyes of faith, seeing in Christ what I will eventually become as I live by His grace through faith – and is for this reason that God doesn’t hold my sins against me and justifies me. So not only does God see Christ when He looks at me, He sees me when He looks at Christ. This is how Paul can say that we are “justified . . . by the faith of Jesus” (Galatians 2:16). Our lives are justified, not because of our faith, but because of the life of faith that Jesus lived which typifies what our lives will look like by His grace. We are also justified by God’s faith because He looks at us through His eyes of faith, believing that our lives will bear a resemblance to Christ’s life of faith. This makes Christ’s humanity all the more important, by the way, because if Christ is going to typically represent me and thus be a picture of what my life of faith will eventually look like, then He had to be made just like me – otherwise His life wouldn’t accurately reflect what a sinful human could eventually reflect. Just for a little Scriptural support to these ideas, consider a few texts. To begin with, Christ is referred to in Scripture as the “firstfruits” (1 Corinthians 15:20), the “firstborn” (Colossians 1:15), and the “forerunner” (Hebrews 6:20). As such, He represents those who are coming after Him, giving a preview to the universe as to what those who will come after Him will look like. Again, this means that Christ typifies and prefigures all the rest of humanity who are living by faith. We also get a glimpse of this in 2 Corinthians 5:21, where Paul says that God “made Him who knew no sin to be sin for us, that we might become the righteousness of God in Him.” We often interpret this in forensic terms – that Christ credits His righteousness to us and God lets us off the hook, but I’m not so sure we shouldn’t instead interpret it (or perhaps, also interpret it) in an experiential sense (see N.T. Wright’s Justification for an exhaustive exposition of this passage, in which he clearly steers away from a forensic-only interpretation of this pivotal text). There is more that we could bring out from Scripture, of course, but that is just a sampling. The natural question that arises is: does this mean that my justification is thus based, at least in part, on my performance? After all, if God is justifying me with the belief that my life will eventually look like Christ’s, what happens if I don’t live up to His expectations? Isn’t our objective standing with Him thus undermined? I’m still working through all the implications, but I don’t think so. God will continue justifying me, continue forgiving me, because He never ceases to believe in me – never stops believing that by His grace I can live a life of full faith just as Jesus did. To put it more simply: our standing with God is not based on our performance but on His love and belief in me. At the same time, Christ’s death is still forensic in the sense that it met the demands of justice that humanity’s sin required. But all that was taken care of at the cross. Lastly, I think this model is a little more robust because it seems that the traditional model necessarily produces a, “Oh, good, I’m off the hook because of what Christ did, so I don’t have to worry about being perfect.” This explanation, on the other hand, obliterates the arbitrary distinction that we typically apply to justification and sanctification, recognizing that they started in the same action (again, this is not to say that our standing with God is based on our performance; it is simply to say when God justifies us – which happened at the cross – it was also the beginning point of our sanctification). Again, I am still grappling with this concept and exploring all the implications. And I don’t necessarily think this replaces any other model of the atonement, but simply adds to our picture. So what do you think? Where are the holes? What are the implications? Is it completely heretical? Is it confusing? Hard to understand? Right then and there, however, something suddenly dawned on me: I engage in a lot of “self-talk” that is destructive (what Alcohol Anonymous would, no doubt, call “stinkin’ thinkin'”). It’s not just that I’m critical of my behavior – which, on some levels, has its place – it’s that I am critical of my identity. Instead of recognizing my actions, thoughts, or behavior for what they are – sinful acts that, though inexcusable, nevertheless are single acts – I start projecting these onto my identity, questioning whether it’s justified to call myself a Christian, a pastor, a child of God. This type of thinking will ultimately destroy a person, though. God wants us to come face-to-face with our sinful behavior and thinking, but He doesn’t want us to question our identity in Christ. Though repeated and continual sin does ultimately result in changing a person’s character, and eventually their identity, if we recognize our behavior and receive Christ’s forgiveness, we don’t have to fret about the “ultimates” of where our sin may lead. Our identity remains in Christ. This, again, is not to excuse sin, to pretend it’s not a big deal. But one sin shouldn’t be magnified to the point that we think it takes us outside our identity in Christ (again, recognizing that repeated sin, when unrepented of, does eventually take us outside of Christ). And we should ever have before our minds one of the most important truths: that when God said of Jesus “This is my beloved Son, in whom I am well pleased” (Matthew 3:17), He was saying it of us as well – with all our sin and unrighteousness. I know that when it comes to my earthly parents, whenever I did something – or do something – wrong, I never said to myself, “Oh, boy. I guess I’m not their son anymore.” How much more so should I recognize this about my heavenly Father? Ironically, one of the most important keys to victory over the sin we do commit is the continual realization of who we are in Christ at all times. This realization sets us free from sin. How about you? Do you ever engage in this “stinkin’ thinkin'”? Do you ever question your identity, simply because of a sin you may have committed? May we all recognize sin for what it is: an act that needs to be repented of. And may we not magnify it onto our identities as a whole. Most people recognize that the great battle-cry of the Protestant Reformation was sola scriptura (“scripture alone”), sola fide (“faith alone”), sola gratia (“grace alone”), soli Deo gloria (“glory to God alone”) and solo Christo (“Christ alone”). Among those, the latter has rightfully garnered a great deal of emphasis lately as people have recognized the need to make Jesus the center of all that we do. This is a much-needed corrective. Two other corollary concepts stemmed from the sola scriptura concept, though, which were every bit as important as the foundational principle: prima scriptura (“scripture first”), and tota scriptura (“all of scripture”). As we consider the landscape of our present situation and the great emphasis on solo Christo, I think it would be well to also add to this emphasis the important concept of toto Christo – that is, “all of Christ.” Just as we want to make Jesus the center of our all, we want all of Jesus to be at the center. For it is only Jesus – in His completeness – that is really worth having at our center. What do I mean by this? Seventh-day Adventists have been privileged to be the recipients not only of beautiful truths such as the Sabbath, the non-immortality of the soul, annihilationism, and other unique truths (which, by the way, give us – first and foremost – a more beautiful picture of God); we have more significantly uncovered a picture of a toto Christo – a full and complete Jesus. This is seen through many different prisms. Our understanding of Jesus’s humanity (how He took on our humanity in its weakened condition), for example, gives the picture of a much closer, more intimate and sympathetic Jesus than has been understood in ages past. It’s also seen in our understanding of just how far Jesus went in His sacrifice on the cross – how He experienced the “second death,” and the feeling of complete and eternal forsakeness and separation from His Father. Just as significantly, the toto Christo explanation of Jesus recognizes the work that He is doing right now on our behalf – how He’s ministering on our behalf in the heavenly sanctuary, standing not only as our Advocate, but also lovingly trying to completely remove selfishness from our hearts by His grace. Thus, if we are going to be all about Jesus right now, we must also be about all of who Jesus is right now (our great High Priest in the Most Holy Place of the heavenly sanctuary), and what He’s doing. These are just three examples of the toto Christo picture of Jesus that Adventism can humbly present. The possibilities are truly endless. 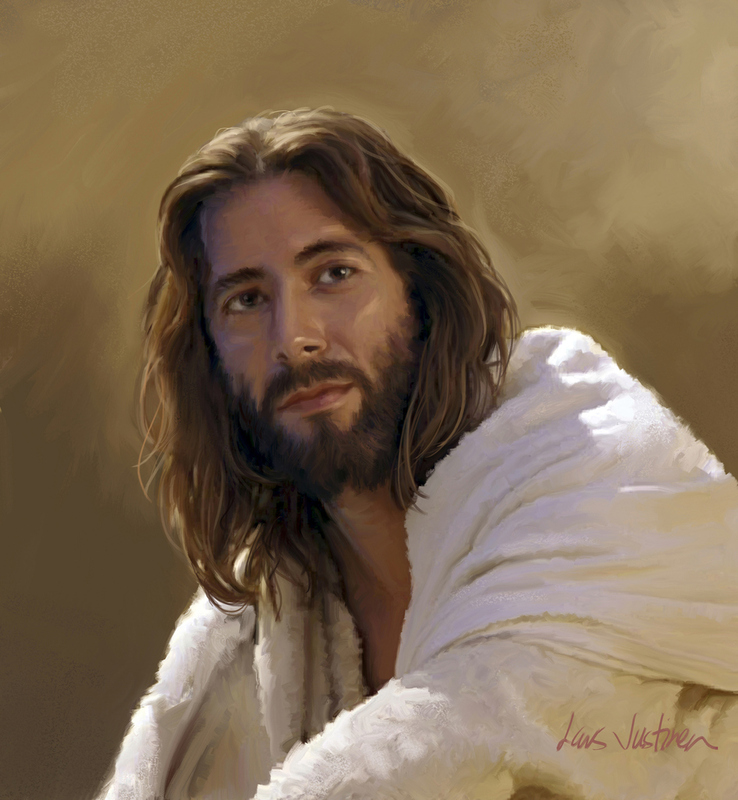 So, yes, let’s be all about Jesus; but may we recognize the totality of Jesus and realize that this version of Him is the fullest, most beautiful rendition humankind has thus far been blessed to understand (with an even richer and deeper picture unfolding throughout eternity). It’s also the explanation of Jesus for which the world – right now, at this precise moment – is the most desperate. Thus, to stop short of presenting a total Jesus robs not only ourselves but the world of the cure to all that ails us. Because it is only the complete Jesus that can heal our hearts completely.